There are some big hitters out there. The least expensive item sold for $1,935 (1,429 euro). It was a personal copy of a Karate book. 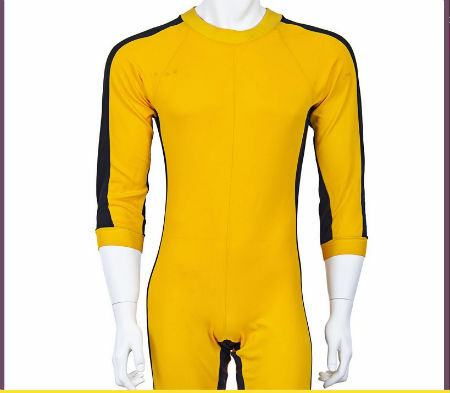 The most expensive item was his famous yellow jump suit (only Bruce can look cool in a yellow leotard) worn in the movie, Game of Death. It sold for a cool $83,847 (61,944 euro) before auction house fees. "Handmade to Bruce’s exact specifications by his tailor in Hong Kong... designed to help illustrate the core principles of his revolutionary martial arts system, Jeet Kune Do." It's one of two made especially for him. 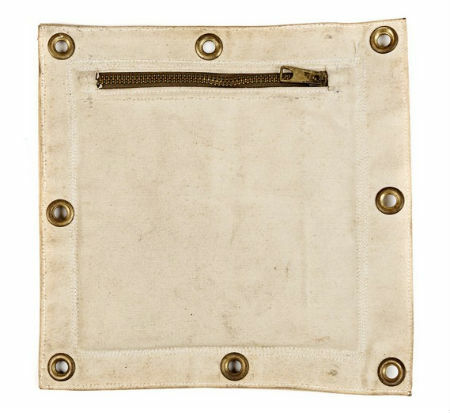 This one is in original condition and has a damaged zipper, sustained when sparring with Hapiko master, Ji Han Jae, during filming. It also has finger prints on the upper chest and left shoulder. I think 83 grand is about the right price for this, don't you? How would you like to own this? 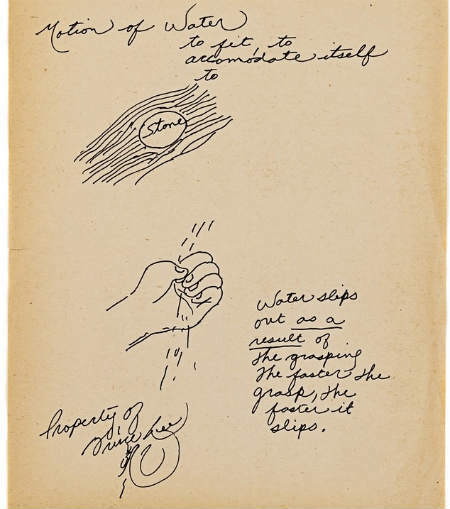 He drew this by hand, demonstrating the essence of "water" in martial arts. If you're a fan, then you know his famous quote - "Be water". This is him using drawings to illustrate some of the details of his often repeated saying. It also serves as the philosophical foundation for his Jeet Kune Do system. "Motion of Water. To fit, to accommodate itself to stone. Water slips out as a result of the grasping. The faster the grasp, the faster it slips. Property of Bruce Lee. 'Signed'"
How much did this hand drawing sell for? $8,385 (6,194 euro), before fees. This would be a great piece to display in your personal library, right? Not much needs to be said about Bruce and his nunchakus. 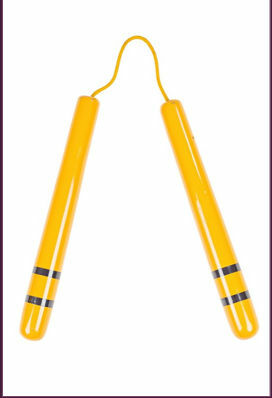 But this pair was used in the movie, Game of Death. "Lee personally designed this iconic weapon to match his celebrated yellow and black Game of Death jumpsuit, which has since been further immortalised in Tarantino's 2003 movie, Kill Bill.... this model is built from lightweight lacquered wood and the sticks are connected by a fortified cord. By requesting this design, Bruce ensured that the nunchaku would move with maximum speed and fluency... providing the audience with a display of martial artistry it would never forget!" Indeed, the audience has not forgotten. Sale price? Only $58,048 (42,884 euro)! Now this would be something worth owning and have displayed in the middle of your living room. 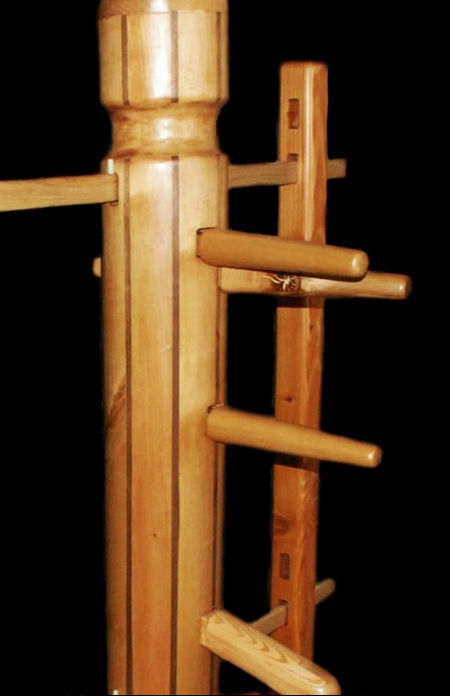 This is his very own Wing Chun Muk Yan Jong (Wing Chun wooden dummy). As you know he started learning Wing Chun as a young teenager, Ip Man was his teacher, and Wing Chun is the only martial art he formally studied. Of course, he dabbled and experimented with many other fighting arts through his life. But Wing Chun was his foundation and is evident even in his Jeet Kune Do system. According to the limited edition auction brochure: "Bruce loved the wooden dummy so much that he ordered two custom-built models (with a neck adaptation for Jeet Kune Do training) from... the celebrated Ip Man Wing Chun School in Hong Kong. Bruce’s mother, Grace, sent both Mukjong to her son in Seattle, Washington... Out of the two original mukjong that were ordered, only this one remains." What I don't understand is why his dummy sold for less than expected? The auctioneer projected a sale between 100,000 to 150,000 Hong Kong dollars, but it sold for only 90,000 Hong Kong dollars. I'm not saying $11,610 (8,577 euro) is a bad price. I'm just saying whoever grabbed this piece of history got a steal. The picture above doesn't do it justice. Inside the auction brochure they have a picture of him using this wall bag, which clearly shows you the dimensions and its big size. His is filled with mung beans. Maybe mung bean is the secret to a perfect and powerful one-inch-punch? Bruce designed this punching bag, and his student and buddy, George Lee, crafted it by hand. It hung in his backyard fence where he'd train with it... That's history for you. How much? $5,418 (4,003 euro) those mung beans better be tasty! 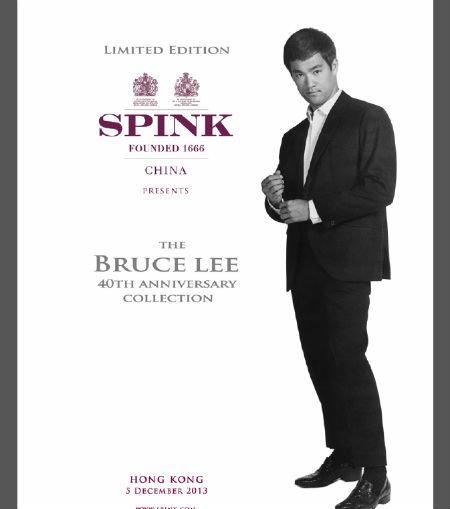 Subscribe and download your free copy of the Bruce Lee Auction Brochure now. Why don't you pick up your copy of the limited edition, 22-page auction brochure. It's filled with Bruce Lee eye-candy and great historical facts about his past. Fans and admirers will love it. I promise to use it only to send you Wing Chun Life News.